Club Penguin Cheats by Mimo777 Club Penguin Cheats by Mimo777: Mimo's World Famous Comment Tracker! LIVE! Mimo's World Famous Comment Tracker! LIVE! 5. Do not ask ppl to help you find a famous penguin. Everyone wants to find them. They should post here if they know where he is. 6. Do not post all the servers that do NOT have famous penguins on them. Play Despicable Me - Minion Impossible! He's at the ninja hideout on mammoth hurry!!!!!!!!!! he is on french server jours de niege! how does this traker work? He is at christmas in the ninja hideout! HE IS AT BELOW ZERO IN THE WATER DOJO! hes in the water dojo in glacier! hes on BIG SNOW at NINJA HIDEOUT! thanks for your help by the way!!! He's at in ascent in the ninja dojo! Dont lie beacuse i just went there and he an't there! Yukon at ninja hideout but if it's full for you, sorry :(. THANKS TIPSKI! I found him htx to u! Thanks again! Heres a tip for finding famous penguins like sensei. Dont just go on English servers, go on portugese, french and spanish servers! I never expected thanks. Thanks to you too my fellow penguins. Glad you found Sensei. HES IN YUKON! WATER DOJO! GO GO GO!!! mimo he was on brumby,canoe,mammoth abominable and alaska.And when he goes he says:Use your ninja skills to avoid the waterfalls edge.Hope it helps. if you see sensei in club penguin, come to this site and leave a comment saying where he is at and what server. this is just an example he is not actually there. I hope you find him. sensei bunny hill water dojo! Is he still at Vanilla, Water Dojo? This comment tracker is just a post where people comment to tell you where Sensei (or anybody else) is. does he go on other languages ??? No he is not at Vanilla water dojo anymore. SENSEI IS ON SLIPPERS AT NINJA HIDEOUT!!! Is there a new background? You have to choose the language you want above the club penguin screen. Just to let you know for next time, you're not allowed to put '(CPG Mod)' after your name when not answering a question. he is on big foot in the water dojo go know!!! i met him. (: goood luck to evry one who hasnt PS hes pretty easy to find his stamp should be green. I found him on Abominable in the ninja hideout. This isnt recnt i just wanted to give this as a tip. One of his favourite servers is Abominable. I found Sensei so I'll answer your question. No, he doesnt have a new background. Its the same old one. well i am pretty sure he lied becuz you can see the time the comment was published! Mimo, put this post up the top so that people will see it and comment! Whats CP's phone number? Hey, kerrok! Here's how it works: when somebody spots Sensei, he/she should quickly come to this post and leave a comment that says his location. If somebody else reads his/her comment, they'll know where Sensei is! Cool, huh? that was ages ago though. he is in the ninja hideout at slippers now......go now hurry it is soo awesumm today is the 19 nov 2010 america time go! hey hey he just went into the water dojo in slippers get there now!! ARGH! Has anyone seen him lately in a place for nonmembers???? WHERE IS THE WATER DOJO ? Sensei is in the Water DOJO in RAINBOW HURRY! mimo777 i don't get it I never see new comments on the comment tracker the comment at the top was from two days ago how do I see NEW comments? he just left north pole!! sensei at abominable at water dojo! You get to see Sensei when he is in the dojo and right before he goes into the Water Dojo. You just have to be lucky non-members. And pretty darn quick to get there. I don't think it is possible to get there quick enough if someone says he's there. Guys and Mimo777, can you get the comments and Mimo777, can you 'ok' the comments quicker please? The latest one here I see now is from 3 hours ago. What time is the time on this web anyways? Can non members go into the water dojo? Look guys. If people are asking where the new comments are cuz they're not at the top, your response is going to go at the bottom so the person that asked it is never going to find the answer anyway huh? he is now in bubblegum I SAW HIM!! !it's awesome! !he talked to us and then he left...I met him in the ninja hideout!! hang on with this, doesn't it take a while for comments to get posted, so if you do post where he is, by the time its posted and ppl read it, he's probably already gone hasn't he? Club Penguin Mini Game Reviewed By You! New Club Penguin Stamps Start Up Screen! Club Penguin Water Ninja Wallpaper! Club Penguin Weekly Field Op Number 24 Cheats! Club Penguin Golden Code Card FAIL! Club Penguin Card-Jitsu Water Is HERE! Club Penguin Card Jitsu Water News! Club Penguin Card Jitsu Stamps! Club Penguin Ninja Reviewed By You! Club Penguin Multiple Window Bug! Club Penguin Adding Chinese Language? Club Penguin You Decide Card Jitsu Power Card! Club Penguin Updates November Membership Page! Club Penguin Pin Cheat - WATER PIN! New News for Club Penguin Newspaper! Club Penguin Space Adventures Planet Y Cheats! Club Penguin Weekly Field Op Number 23 Cheats! Club Penguin Wacky Weather Reviewed By You! Club Penguin Bucket Hat Update! Club Penguin Adds Sensei Stamp! Club Penguin Card-Jitsu Water Hunt Cheats! Sensei & Card-JItsu Water Coming Soon! Club Penguin Card-Jitsu Water Tin! Club Penguin Dance Contest Glitch! 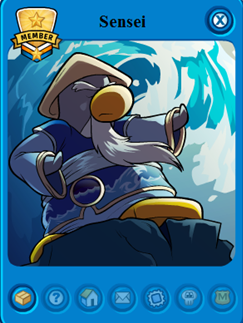 Club Penguin Card-Jitsu Water EXCLUSIVE! Club Penguin Estate Igloo Glitch! Club Penguin Community Garden Grows! It's Raining on Club Penguin & Other News! Club Penguin Elite Gear Reviewed By You! Club Penguin Weekly Field Op Number 22 Cheats! Club Penguin Series 10 Plush Toys! Club Penguin New Stamps Start Up Screen! Club Penguin Pin Cheat - WATER TAP PIN! Club Penguin Member Only Background?! New Club Penguin Ninja Start Screen! Club Penguin Wet & Wild Weather News! Club Penguin Halloween Costume Reviewed By You! Club Penguin Weekly Field Op Number 21 Cheats!